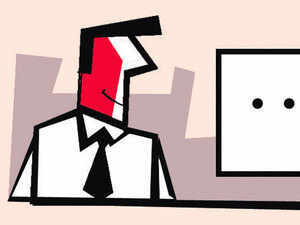 ET lists out ways organisations can deal with employees who resist change. Employees often resist change, not realising that adapting to change is the key to staying relevant in today’s workplace. In an ever-changing business environment, it is as important for employees to adapt as it is for the organisations. However, employees often resist change, not realising that adapting to change is the key to staying relevant in today’s workplace. Often employees oppose changes due to lack of communication on the part of the organisation or general apathy. It is here that the organisation needs to make the transition smooth for employees. Prachi Verma Dadhwal lists out ways organisations can deal with employees who resist change. 1. Reason out: Any change within an organisation can harbour fear among employees. It is for this reason that organisations must highlight the importance of the need to bring about the change. “People resist change because they don't understand why they or the company will have to change,” said Srinath Ravichandran, cofounder of AgniKul, a startup incubated at IIT-Madras that is developing launch vehicles for unmanned missions. “We need to highlight why exactly the change is needed. We highlight the incentive for changing,” he said. 2. Constant communication: “Use efficient channels to communicate at the right time,” said Vipul Singh, VP & head of HR CSR & communications at ADP Pvt Ltd. There should be a constant contact with employees all throughout the change cycle. “Gently, tell employees that change will happen gradually and for sure, will give them the time to adapt,” Singh said. 3. Be available: Try to maintain an ‘open door’ culture so that employees can share their apprehensions if any. “Employees should be able to talk to their manager at any time and also approach the senior leadership if required,” said Yogendra Agnihotri, director of human resources, South Asia, at the Radisson Hotel Group. “Employees should feel free to approach anyone, no matter what the issue is,” he said. “When employees see that the employer genuinely cares, they will want to become a part of the change,” said Singh of ADP. 4. Set role models: Some employees may support the change and such employees should be identified first. “Find employees who are eager for improvement as their enthusiasm would rub off onto other colleagues and, in time for change, most of the employees will be ready,” said Singh. Give employee examples from the past or relevant fields to make them understand that adapting to change is a key parameter that differentiates startups that survive from those that don't, said Ravichandran. 5. Encourage employees: Push for team spirit. Try to bring together the employees. "Talent wins games, but teamwork and intelligence win championships. A team is more productive when they understand each other at a personal level,” said Agnihotri. Also, support suggestions from employees. “Incentivise employees’ suggestions wherever possible. The feeling of being valued at work will influence employees to come up with great suggestions and add value,” said Singh.